Fall camping with friends in Karagol, near Izmir, Turkey. Oldie but goodie – missing that mushroom and sucuk breakfast. 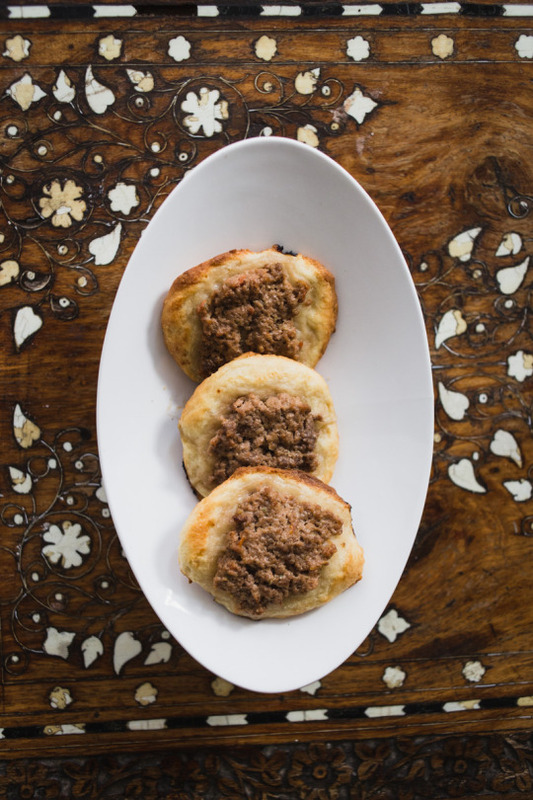 When I’m searching for a recipe, I personally hate scrolling through 10 paragraphs of how the food blogger was feeling that week, why their kids/husband like the food so much, plus 20 process photos, so for now, I’ll just say that these are tasty little savory meat pies from the Levant, and I’ll give a little more exposition after the ingredients and directions. Heat the oven to 230 C (450 F). Place the ground meat into a mixing bowl, add vinegar and ½ the lemon juice, and mix in. In a blender or food processor, put the tomatoes, onion, garlic, pepper, yogurt, and remaining lemon juice, and blend until pureed. Add the tomato puree to the ground meat and combine, adding salt and pepper, then add the tahine and pomegranate molasses. All the acidic ingredients help to cure the meat, so when you bake it, it only takes about 10 minutes to cook without drying out. 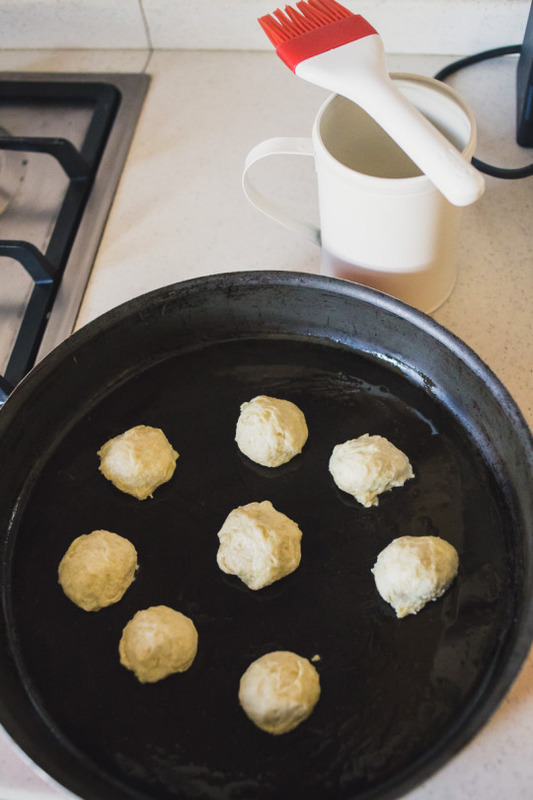 Once the dough has risen, coat a few baking pans with canola oil and divide the dough into balls, about 1 inch in diameter. Put them back in a warm place to rise a little more. 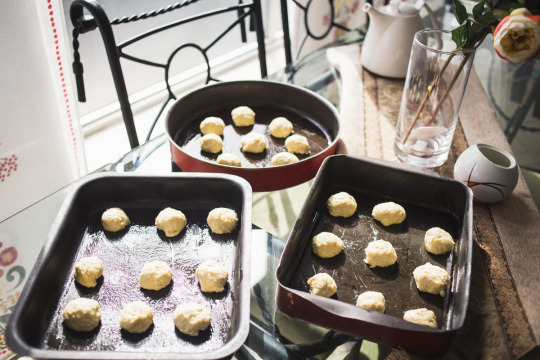 Then flatten them with your fingers, so that the dough is about ¼ inch thick. 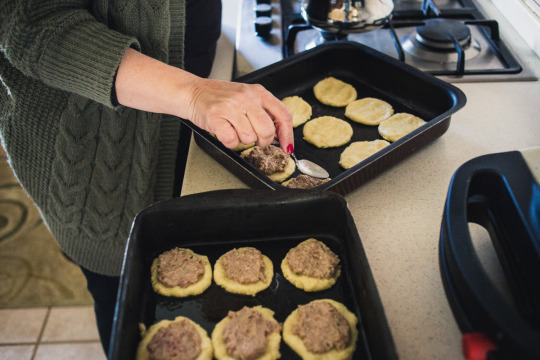 Place a spoon of the meat filling on each piece of dough and spread out evenly. Bake about 10 minutes, until the dough puffs up and turns golden brown. This particular variety – Sfiha Qudsi – is the Jerusalem version. 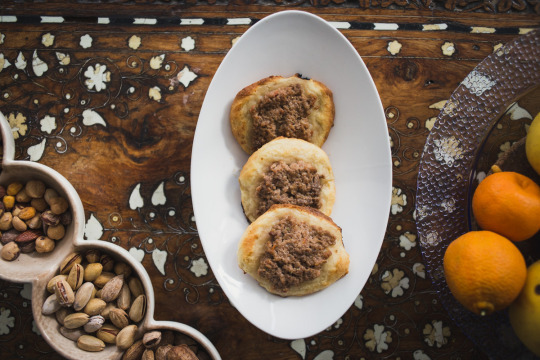 Sfiha Shami (from Syria) is mostly the same ingredients, but the dough is rolled out into longer pieces. The Syrian version is also quite similar to what you’ll find in Turkey, but it’s called pide or lahmacun (”lahm” is meat in Arabic, and the word is also found in the name “Bethlehem,” which literally means “House of Meat.”) And if you want to make it Lebanese, add some fresh mint and 7 spices mix (paprika, pepper, cumin, cassia, cloves, coriander seed, cardamom, and nutmeg). And if you find yourself in Brazil, you might know this as esfirra (the Portugese “r” approximates the hard “h” sound in Arabic), brought there by Levantine migrants. Recipes like this affirm my theory that every culture has its version of pizza, sandwiches, noodles, and the dumpling. Deep down, we all just want to eat carbs. There’s also a pretty compelling argument out there which says the modern-day burrito is actually the fusion cuisine descendant of shawarma/doner/gyro, again brought to the Americas by immigrants from Asia minor and influenced over time by Latino cooking. Fun day of cooking Black Sea dishes in Urla, Turkey.